Michelle is an E-RYT 500 teacher and teacher trainer, who co-founded Yogatraveller in 2004 and found her teaching voice along the way. She frequently leads retreats both internationally and at home in Ireland at her retreat centre The Cliffs Of Moher Retreat. Michelle is passionate about helping people to make a core connection in their lives, through yoga, healthy eating and positive thinking. 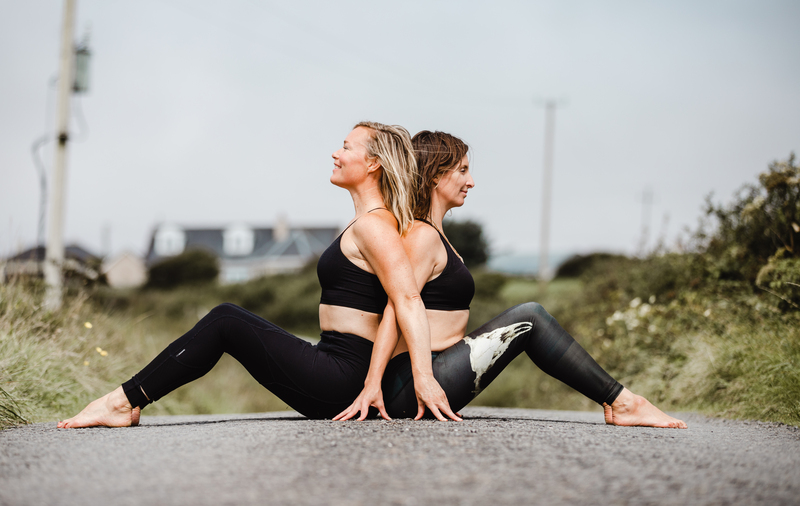 Join Michelle on her retreats and connect to your core and build strength from the inside out. Michelle uses ancient philosophy teamed with current alignment principles and dashed with a bit of fun to bring you her own unique teaching style. Dearbhla has been practising yoga for over fifteen years. After years of gymnastics, capoeira, and running she managed to accumulate injuries and found yoga was the best way to physically maintain her muscles, joints and overall body. The more she practised she noticed how grounded, connected and calm she was after yoga. In time the physical rewards became secondary to the mental and spiritual impact of her practice. Yoga became an integral part of her life.